Place the full (A) boss on the table and superimpose the plate well centered on the boss. Make a small mark that corresponds to each ray of the boss. There are 12 spokes in all. Cut slits where you made the marks. Place the plate with hole and the notches on a decorated plate and mark the Center with the tip of a pencil. Mark the notches with a pencil. Make a hole using small sharp scissors in the center of the plate. Iron on the lines drawn in pencil with a felt pen to make them more visible. Print the document (pdf) with the images of the needles and hours on a sheet cardboard of the color of your choice. Cut out a pair of needles and 12 rounds with the hours. 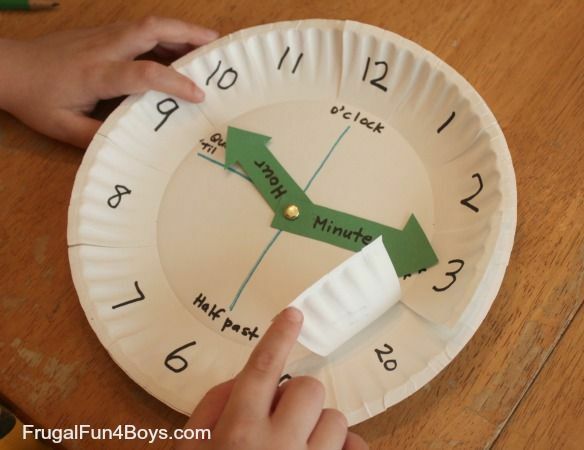 Make a hole in each hand on the clock. Slide the tips of a Parisian fastener through two needles of the clock and then through the hole in the plate. Get the tips of the Parisian home across the plate. Put dots of glue on the lines drawn previously. Paste the numbers representing hours in place. 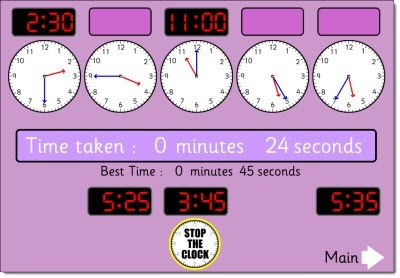 Teach children the concept of time, it is not obvious! 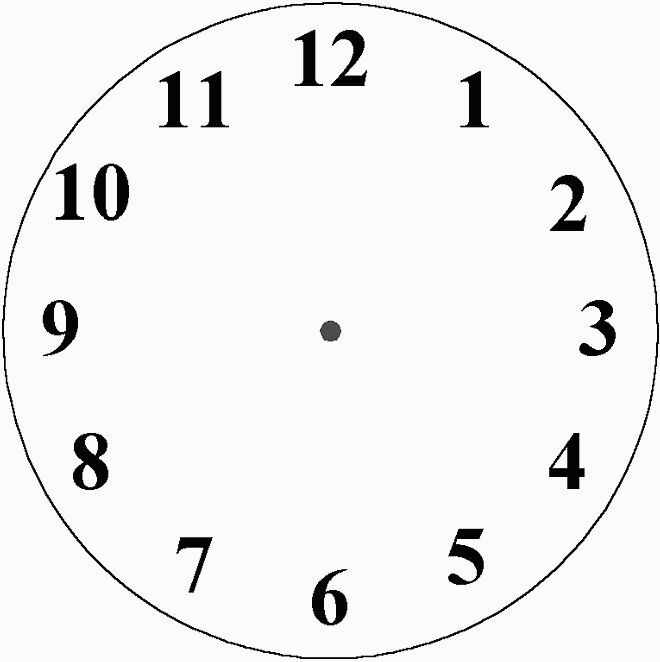 The modern wall clock is a very concrete way to teach children to read the time. 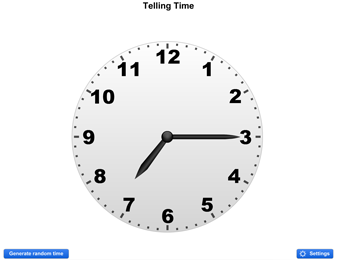 Through questions and the manipulation of the clock, you can bring the kids to better understand how to read the time and interpret the notion of time. What is the big hand of the clock? 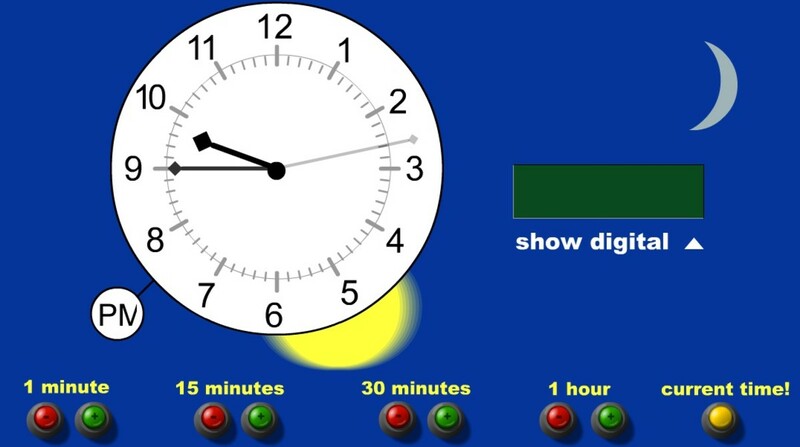 The minute hand is used to show the minutes. 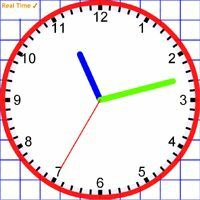 What is the hour hand of the clock? The small needle is used to show the hours. Which of the two needles turn more quickly? 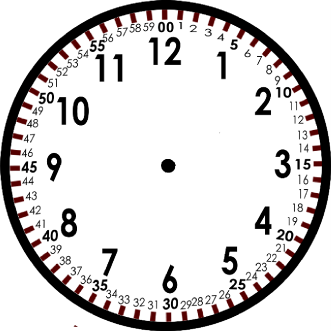 The minute hand rotates more quickly. Every hour, the minute hand makes a full turn of the clock. 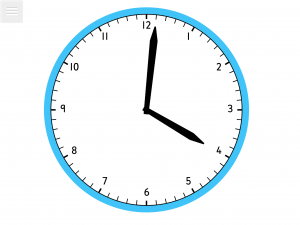 The clock is used to show what time it is throughout the day. Do you know other instruments that measure the time? The watch and the hourglass. Note: In older times, we measure time through the Sundial. It was of course of the Sun in order to know more or less time. Indicates 8 o’clock in the morning. Indicates three and a half hours. Specifies the time at which you get up. 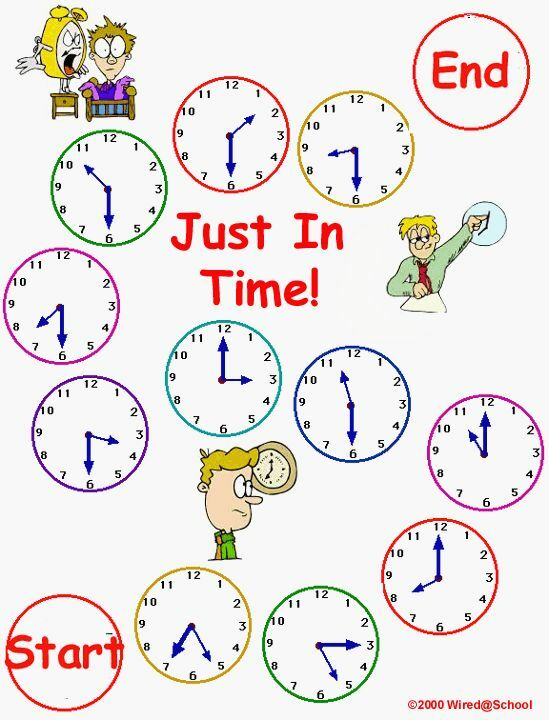 Specifies the time at which you take the bus to come to the school or that you leave home and come to the childcare service. Specifies the time at which you come home late in the day. Specifies the time at which you go to bed. Clock, watch, the needle, the big hand, the little needle, the hours, minutes, seconds, the Sundial, the Sun, twenty-four (24), sixty (60), fifteen (15), thirty (30), forty-five (45), half, three-quarters, noon, midnight.